Last time we spoke, you shared your insight into the frighteningly active industry of human trafficking, and told us about your work supporting survivors of modern day slavery. Tell us more about The Freedom Hub and what it does? 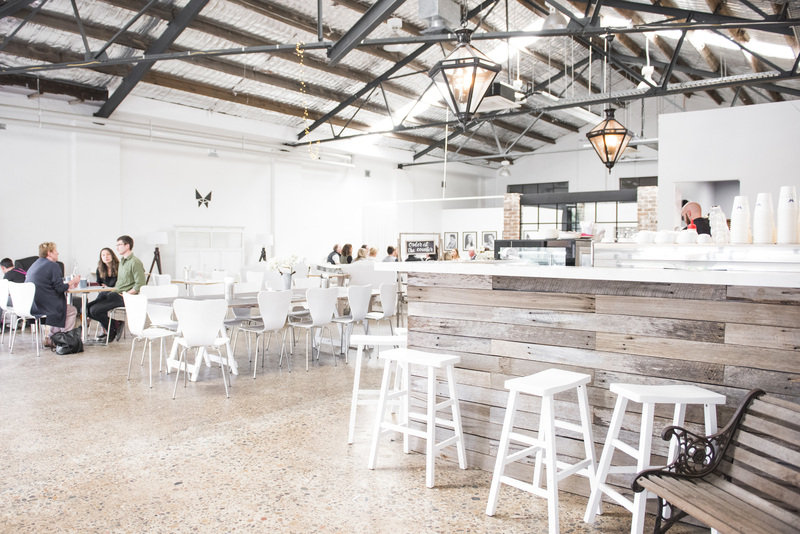 The Freedom Hub is a luxe, open and airy café and warehouse-style wedding venue and event space at 283 Young Street, Waterloo. It’s a business for purpose that exists to support our survivor school. From a single coffee, to a fully catered wedding reception, everything that we do, we do with love and with the purpose of helping survivors of modern day slavery in Australia. 100% of The Freedom Hub’s profits go towards building futures for our survivors. Tell us about where the concept came from? Our early fundraising efforts for the school, like holding picnics and markets, were driven with so much enthusiasm and passion for our cause, but ultimately, weren’t achieving what we wanted and needed to. I knew there had to be a better, more efficient way. In the back of my mind, I knew that our fundraising needed to operate more like a business, or specifically a social enterprise, in order for us to succeed. I’d never run a business before, so I plunged into researching and networking. I studied social and tech platforms and joined a lot of different groups. I met knowledgeable and supportive entrepreneurial contacts who challenged and encouraged me throughout the development of The Freedom Hub concept. I wrestled with the details and spent about three months trying to package it into a business plan. Eventually, with our committed group of hard-working volunteers, and the belief and support of our donors and community, we found our premises – The Freedom Hub’s home. Finally, all that was left was to take the big leap… and I did! In hindsight, that was the easy part. Talk us through your start up. What was your biggest challenge? We found our premises in March of 2015. It was literally a year until we opened. I was tearing out my hair for that whole year leading up to it. I was paying salaries to ensure the survivors were properly looked after while I was occupied with building and decorating the venue from scratch, all while we were earning no money. I watched the bank balance plummet day after day, week after week and when we finally opened, we had zero cash flow. What impact did that have on your first year? Starting a business without cash flow meant we spent almost the first year chasing our tail. It was a very tough year for the business and a tough year for us and the volunteers. Managing cash flow has been my biggest lesson in business so far. If I had my time again, I wouldn’t have opened when we did. I would have done another massive fundraising drive and then maybe opened six months later. Our cash flow situation made such a huge impact on all of our operational considerations. We had to pay for stock before we sold it, every time we ran an event we needed to buy more equipment. At one point at the end of October, our bank account got down to $80. I didn’t know how we were going to pay people. That was probably one of the lowest points for me. I have ten people working in this café! It’s really, really stressful employing people. It’s a huge burden being responsible for people’s livelihoods. Sounds like a very emotionally challenging journey! Had you ever considered quitting? Oh, every day! I think the business side is really, really tough. We run on a shoestring. Whatever money gets donated, that’s my budget. There’s tension in all social enterprises, in what you do with the money you make. Do you spend it on marketing and re-invest it into the business to help it grow and succeed? Or do you allocate that money to your cause? I’ve been running the cause on next to nothing and have been heavily dependent on volunteers to get The Freedom Hub off the ground. It looks like we’ve turned the corner and we’re going to make it, but it was a really stressful year last year. I get quite emotional about the whole financial struggle, because all I want to do is to help more people, and it’s the last thing I want to have to worry about. One of our biggest costs to manage is our zealous commitment to fighting slavery through our ethical and transparent supply chains. We’re raising money to help our own survivors, and I’m determined to have a supply chain that has no slavery in it. This means that we often pay a premium price to do business, but freedom is worth it. Tell us more about your 100% ethical supply chains. I look for products that bring a story of bringing empowerment, and for trade partners with open and transparent supply chains. Our bread is from the Bread and Butter Project, a social enterprise bakery, where 100% of profits are reinvested into baker training and employment pathways for refugees and asylum seekers. Our Freedom Fighter Coffee comes from a farm that’s involved in rehabilitating ex child soldiers. You can purchase it online on our website but I can’t disclose where the farm is due to the very nature of what they’re doing. We also collaborate with a young entrepreneur who collects coffee grinds and turns it into body scrubs. Her profits go towards helping women in India. So we have one coffee bean, being used to fight slavery and bring change, in three different countries. We operate very differently to a typical café. For example, we don’t stock Coca Cola. On one level it seems absurd for a café not to stock Coke, but because we can’t trace their supply chain, we don’t stock it. I’m not suggesting that there is anything untoward going on in their supply chain, but because we can’t personally investigate it and be satisfied that it meets our ethical and anti-slavery credentials, we just don’t do it. Tells us about your ethical wedding concept? 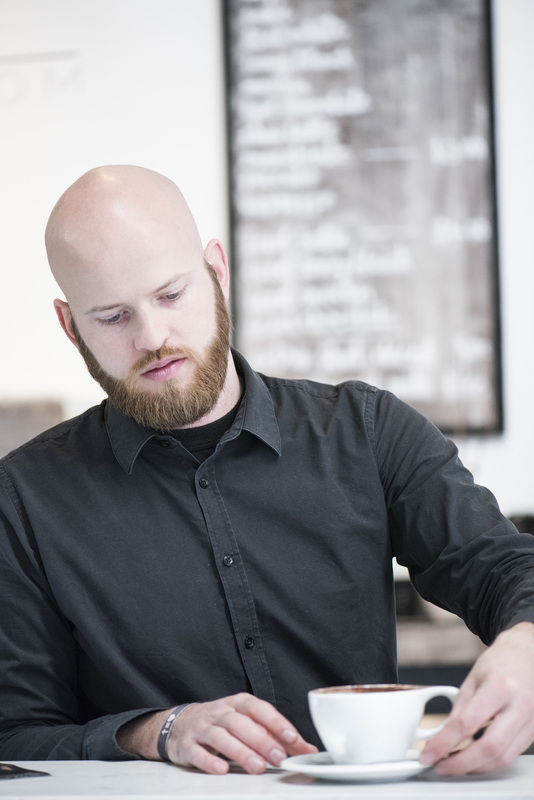 There’s a rapidly growing recognition and support for businesses with an ethical purpose. People today want to leverage their money to do good. So it’s only natural for couples who share our drive to want to bring change through their wedding – something that can be a very lavish and self-indulgent affair. Through working with our ethical partners, couples know that every element of their wedding is making a difference in the fight for others’ freedom. It’s as important to them as it is to us that our supply chains are transparent and free of human slavery in every way. I believe we’re a pioneer in this space, but The Freedom Hub is growing and making a difference. Our growth and the demand for ethical weddings is a reflection of people wanting to help and to be part of the change that we’re working to achieve. Tell us more about the faces of this change. How does the school support survivors? We help survivors rebuild their lives. This might be building independence and finding work or it might simply mean getting back home to their family. We work with each survivor to find out what their individual goals are and what we can do to help them reach those goals. That’s why we call this The Freedom Hub, because it gives survivors a dream and hope for their future. We’re constantly reviewing the support we provide to make sure it reflects the many different challenges that the survivors face. They never really want to ask for help. I think they’re just so grateful for what we are doing that they don’t want to ask for anything more. But it breaks my heart that they don’t ask when they’re in need. I found out that one of the survivors was using her bed sheet to dry herself after showering, because she didn’t have any towels. I noticed another had lost a drastic amount of weight. He was hardly eating because he was saving his food money to pay for his Opal card to come to class. Public transport was costing him nearly all the money he had! I cried all the way home after hearing that and I’m not a crier. I think I’ve probably only cried three times in the last eight years that I’ve been working in the area of human trafficking and slavery, but hearing stories like these pushes me over the edge. What other challenges do the survivors face? The survivors have so many needs beyond us helping them with school and getting jobs. They have so many basic human rights that actively need to be reinstated. I’m talking about things we take for granted everyday, like having the confidence to make eye contact and shake someone’s hands, down to basic practical necessities like having enough money to catch a train or bus. These can all be very real and confronting challenges for survivors. On top of that, there are obviously the big ticket items that we work towards constantly with fundraising. For instance, it might cost $6,000 to $7,000 for one survivor to attend TAFE. This is a necessity for them so that they’re able to join the workforce, but it’s money they simply don’t have. So we’re always fundraising and our volunteers work tirelessly to care for our survivors in every way possible and to keep the wheels turning. 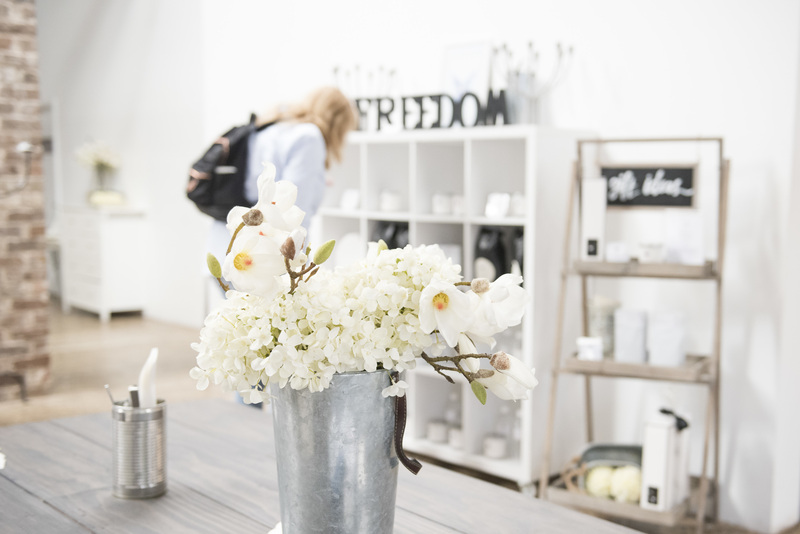 Apart from having an ethical wedding, or visiting your café, how can we help The Freedom Hub make a difference? There are so many ways to make a difference! Hold a meeting at our café, plan a function with us, or simply follow us and share on Facebook and Instagram. We’re set up for people to engage in direct fundraising for us, if they’d like to hold an event, otherwise we’re always looking for workplaces to join our ‘safe partner’ network to provide work experience or employment for survivors. You can also provide direct sponsorship of a survivor’s needs, such as Opal cards, laptops, or contributions toward their tuition which starts from just $30 a month, though any donation really does make a world of difference. Get in touch with our team to find out more.